Well the blog for two guys was very successful and those places went very quickly. It seems to me it is much easier in these hard times to find a party of two anglers than four. I have had a request form an other party of two who are looking for two more anglers to make up a party of four in mid Oct 2012. I know its a long time away but it gives plenty of time to save up and plan. So if any one out there is interested at all please get in touch email at rdngd@aol.com or phone 01668 216173. October is a nice time of the year the water is still very warm and some of our autumn and winter fish are beginning to show. I was asked the other day is it far to go to the boat and the open sea. 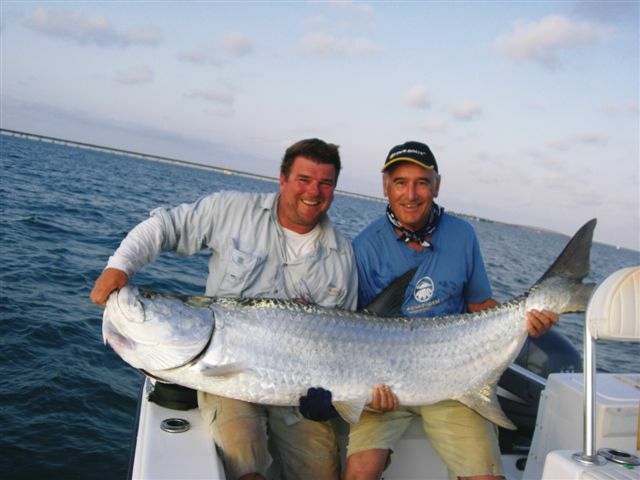 Looking for two anglers to make up a party at prime permit and tarpon season. Two guys had to drop out so a fantastic opportunity for two guys to fish. I know it can be hard to find four to fish and it not often I can place just two. The dates are 4th May to the 10th and this is the only time I have left in 2012 so as they say when its gone its gone and 2013 is a long time away. What makes this a very special time is the permit spawn. 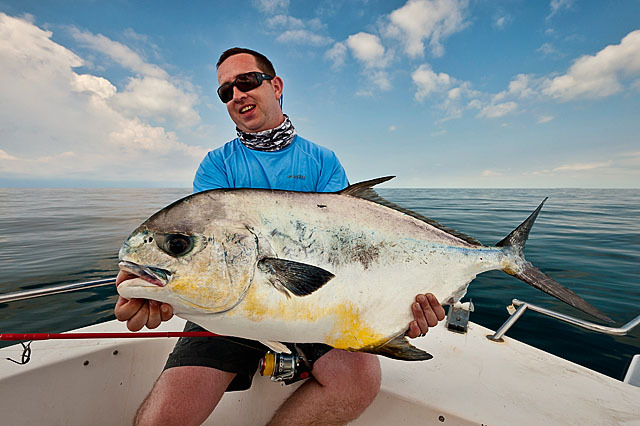 During a very few short weeks the permit leave the flats and go offshore to spawn over the wrecks sometimes the shoals can be over 200 fish. They form a slow swimming cone above the wrecks then take turns to spawn still swimming to mix the eggs and melts. Diver friends who have seen it say its just amazing. During this time they still feed and take crabs and with hundreds of feet of water in all directions will pull your sting like you cant imagine. Our biggest during the spawn was 48lb a true fish of a lifetime this was taken on the surface from a school of 6 fish and was the smallest god knows what the big ones weighed. 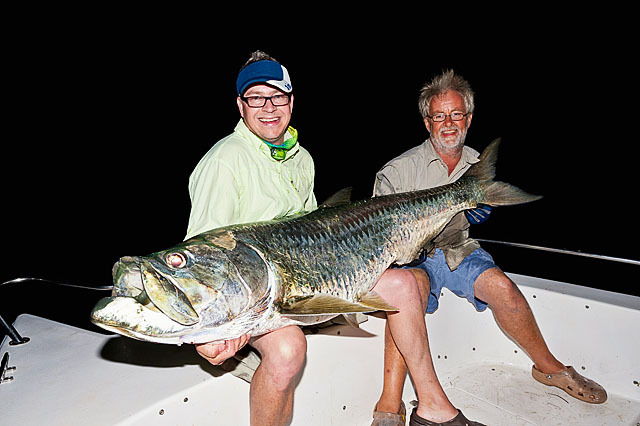 Also its the height of the tarpon season so 100lb fish each morning if you want but be warned tarpon fever is a very hard illness to get over and lasts a lifetime. 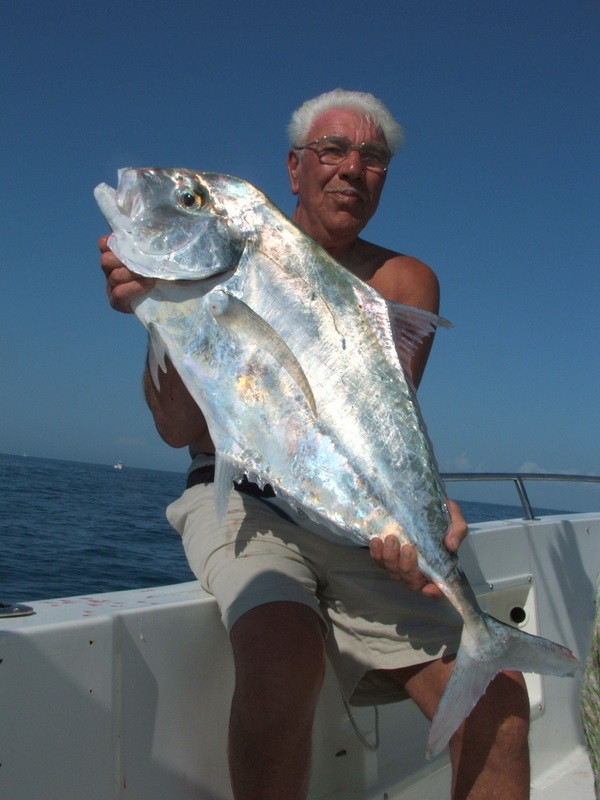 It won’t just be about permit and tarpon the Florida Keys as Henry Gilbey said are just crawling with fish, shark, dorado, grouper, mackerels, snappers, tuna just to name a few from 1lb to 1000lbs. 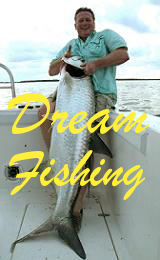 This fishing holiday normally does what it says on the tin and more just come and fish the dream. It might pick a tropical island for a venue. It would have a constant supply of local lobster, crab, clam and fish for sale. Drinks for all tastes to wash it all down. Live music and a large play area to keep the children happy. 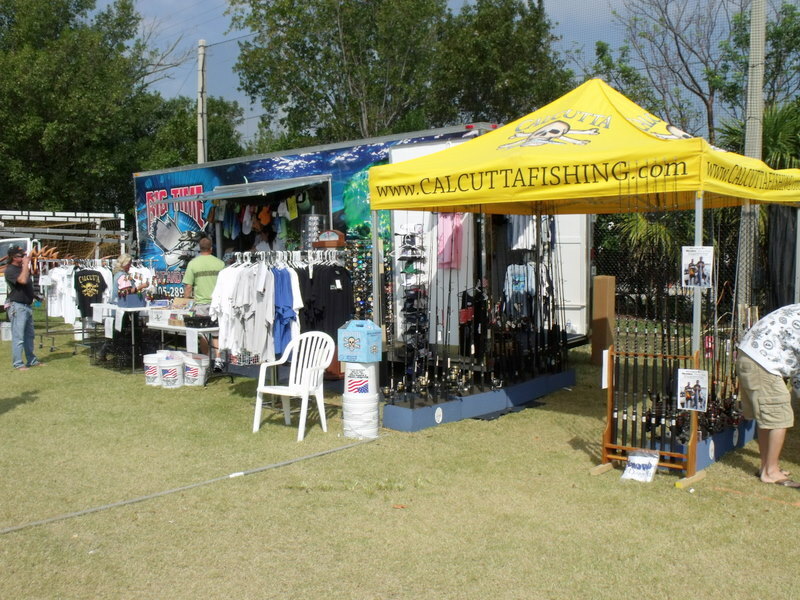 Fill a huge area with stands selling a vast variety of goods from fishing tackle to local art. Organise a nearly clear blue sky and the temp just right at low 80s. Well this all happens every year on our island Marathon in the Florida Keys. This event has been going on for many years now and is just getting bigger each year and this year saw over 24000 people attend. This year I was lucky enough to be on my local tackle shops stand Big Time Bait and Tackle promoting the new range of Snowbees US range of rods. These rods developed on the UK deep blue rods are going down a storm and their sponsored boat is still top of its class and leading the pro tour in the king mackerel championship, check out the website www.fishska.com and team bandit. 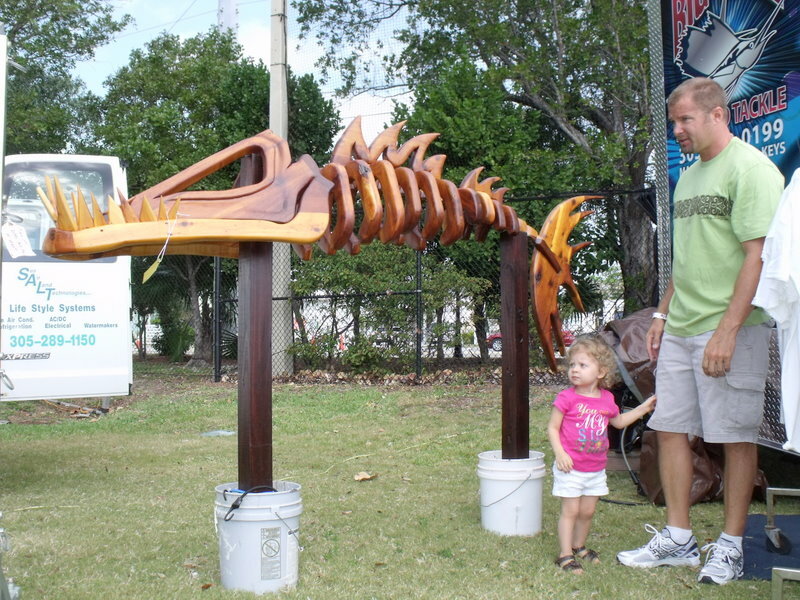 The local art was amazing we had a local artist displaying a huge wooden fish at our stand fancy this beauty in your garden. The Florida Keys attract artist from all round the world as someone said sun, sea and wine get the creative juices flowing. 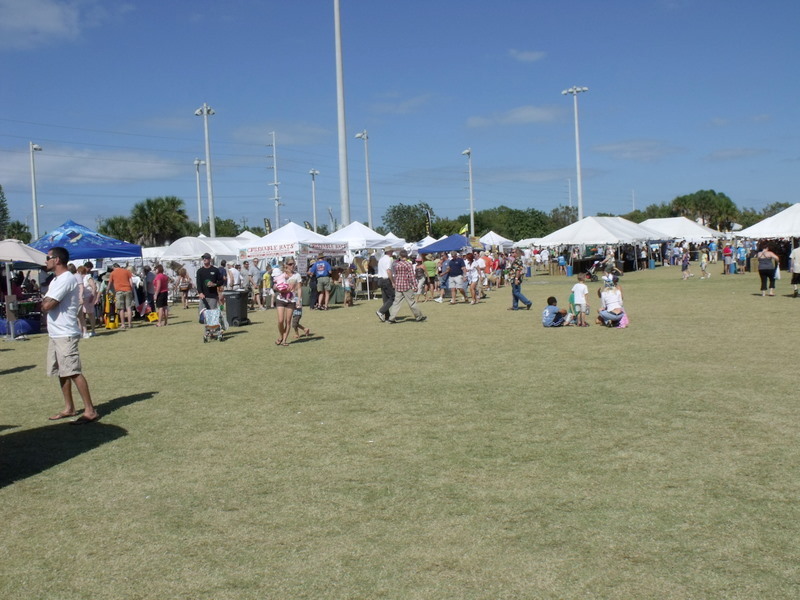 Next year this event will be even bigger if you are in the Keys during the event you must put it on your do list. One of the fringe benefits of running fishing holidays in the Florida Keys has been meeting new friends. I have know Henry for many years now and I have yet to meet a guy with more passion for his work. Considering he is a self taught photographer he is in my opinion right up there at the top of his profession. I am NOT a photographer but every time Henry come I try to look at my camera work. 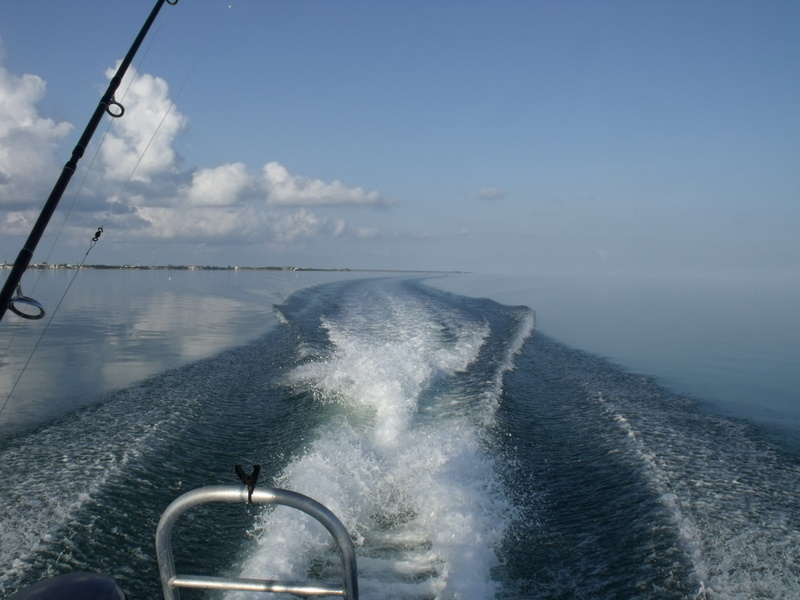 My main job is to guide people to get the fish of there dreams even in the Florida Keys some days this can be hard. My main challenge is weather I always tell guests that on a calm day I have 100s of marks and as the wind gets up this number decrease but we are so lucky in the Keys never to miss a day. 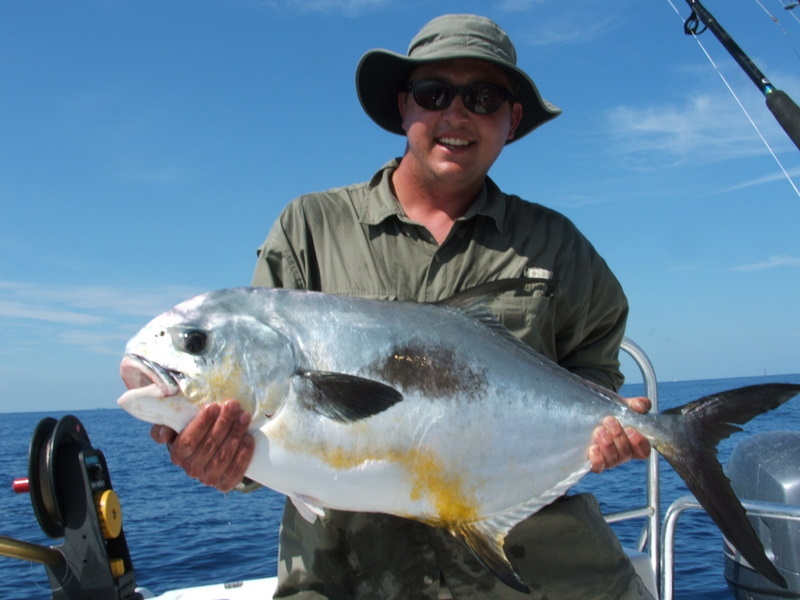 We have found fish over 100lbs deep in the mangroves on days when any where in the open seas not on. It was on a flat calm day come back from the Atlantic that the Gilbey effect kicked in looking back I thought this would make a good pic see what you think. After the exploits of Henry Gilbey and friends this year we were full very fast for these short weeks of the permit spawn. 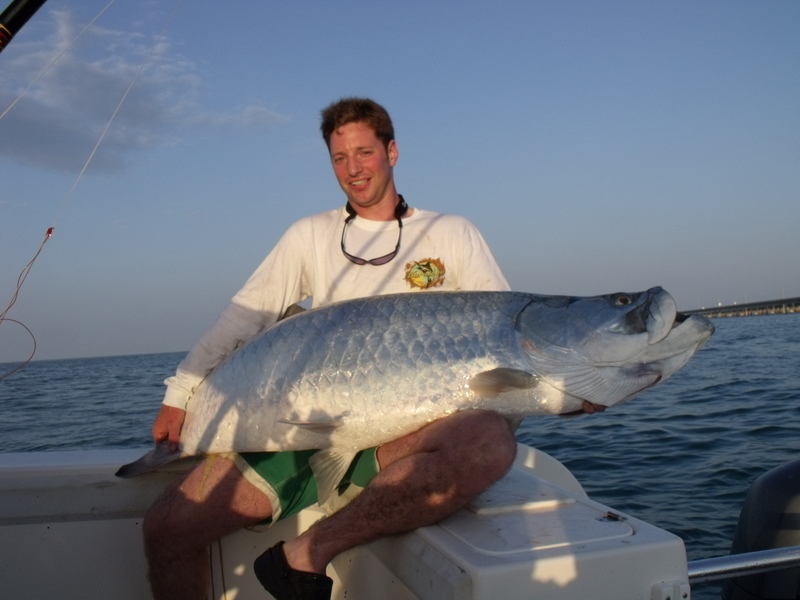 Check out Henry’ blog 9th may to 19th at www.henry-gilbey.com not just permit to over 30lb tarpon to near 150lb but a host of other fish and as Henry said the Florida Keys are just crawling with fish. So it came as a great surprise when we had a two week fishing holiday canceled sad but one man’s misfortune is another man’s gain sold one week the same day now left with the second week. Dates 4th May to 10th may this will go very soon so don’t wait he who snoozes loses. 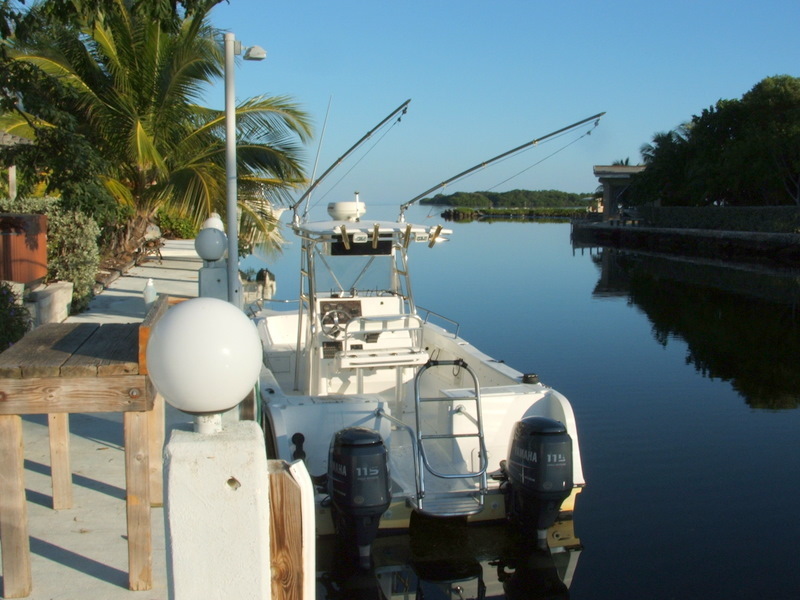 A massive thanks to John Aplin of Casterbridge Fisheries who has single handedly run my fishing holidays at Fish the Dream in the Florida Keys for the last six weeks I cant say enough to praise John. 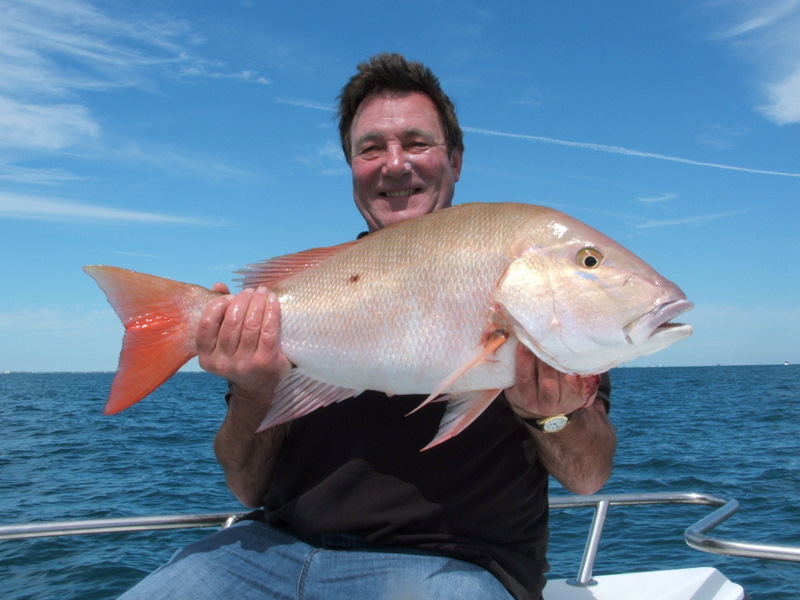 I have been in touch with all the anglers he has taken out and all have been more than happy with his captaincy. I have fished with John for many years and when it became a issue with my wife’s health and we needed help he was my first choice and what a job he has done. Its not just his fishing ability but boat handling, running the boat in the dark in between the bridges, wreck anchoring,etc and John is right up there at the top. Please go to his website www.riverworks.co.ukand just see what he does and what he has done and if you are wanting any and I mean any fishery work done he is your man, and I can guarantee 110% satisfaction. Also I need to say a big thank you to his wife Andrea who after a house and work move let her man go over 4000 miles for six weeks, thanks again.